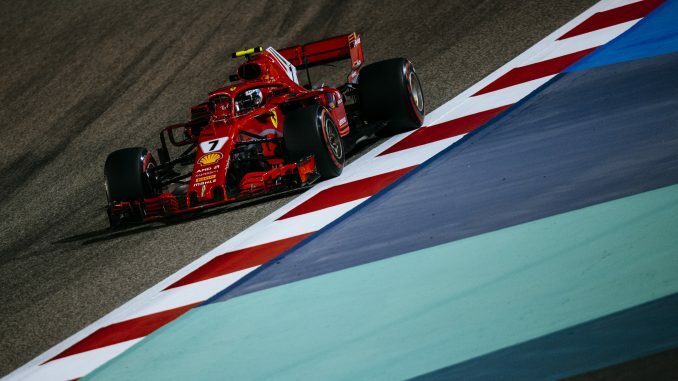 Kimi Raikkonen was fastest in Friday’s practice sessions for the Bahrain Grand Prix, despite missing the end of P2 after a pitstop blunder. 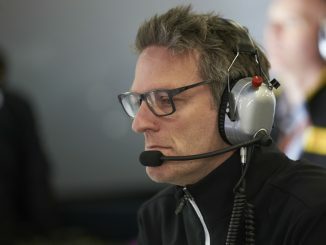 The Finn’s session was cut short when he was released from the pitlane with a loose tyre, forcing him to pull to the side of the Bahrain International Circuit, having already set a time of 1:29.817 earlier in the evening session. The team was later handed a €5,000 fine for the unsafe release, but Raikkonen avoids a grid penalty. Raikkonen’s Ferrari teammate Sebastian Vettel was just 0.011s behind, while Valtteri Bottas got the better of Lewis Hamilton as the Mercedes drivers finished 3rd and 4th respectively. 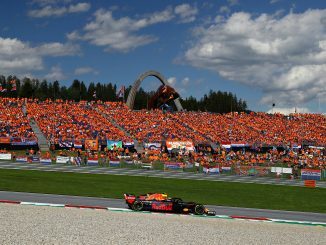 Earlier in the day it was Daniel Ricciardo who topped the timesheets, but he and Max Verstappen were over 0.9s adrift in P2, which takes place at the same time of day as Sunday’s race. Verstappen missed P1 after suffering a failure, which saw him pushing the car back to the garage with help from the track marshals. Toro Rosso had a mixed day as they look to put the disappointment of the Australian Grand Prix behind them. Brendon Hartley was quicker than both Force Indias, Verstappen and Marcus Ericsson in the afternoon session, but was at the bottom of the standings at the end of P2. Pierre Gasly showed promising pace though, backing up a seventh-placed finish in P1 with an eighth in the evening, putting him ahead of the McLarens. McLaren do still seem to be one of the quicker midfield teams though. Fernando Alonso and Stoffel Vandoorne both ended up ahead of the Haas drivers in P2, finishing 9th and 10th respectively. Renault have provided a new-style halo for Nico Hulkenberg this weekend, and the upgrade appears to have worked, as he finished the day almost 0.4s faster than Carlos Sainz, who still has the original-spec halo on his Renault. Force India are still working out how to get the most from their new car. After a disappointing P1, Sergio Perez and Esteban Ocon improved under the floodlights, but remain behind the majority of the midfield rivals. At the back of the field, Sauber and Williams continued to struggle. All four drivers had dramatic spins as they attempted to find pace. 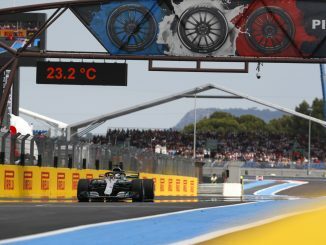 Charles Leclerc finished a promising 12th in P1, but in representative conditions in P2, he dropped back to 16th, ahead of the Williams drivers, his teammate and Hartley.